Cape Town – The fact that Brian Molefe will be sworn in on ‘budget day’ is clearly a premeditated political hit on Finance Minister Pravin Gordhan, Democratic Alliance MP David Maynier said on Tuesday. He was reacting to news that the former Eskom CEO will be sworn in as a Member of Parliament on Wednesday, the same day Gordhan is set to deliver his National Budget Speech. Maynier and IFP MP Mkhuleko Hlengwa, who both serve in Parliament’s Standing Committee on Finance, told Fin24 on Tuesday Molefe could soon fill a vacancy in the committee as speculation increased that he is poised for a job at National Treasury. It is, however, not a necessity for Molefe to first serve in the finance committee as he could be appointed straight to Cabinet, Hlengwa told Fin24. 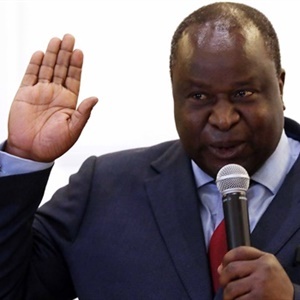 “It would be a good introduction and a conduit to the finance ministry – as finance minister or deputy finance minister, [but] it’s not a prerequisite that he first serves in the committee," he said. Maynier said that it is “highly likely” that Molefe will fill the vacancy in the Standing Committee on Finance. “I don't think he will be a committee member for long though. He is a man in a hurry and is likely to be appointed as deputy minister of finance, possibly within weeks." The rand weakened more than 1% by 12:45 as news of Molefe's move to Parliament fuelled negative rand sentiment. "Local political risks remain a concern. USD/ZAR’s brief spike to 13.17 early yesterday presumably reflected the concern over a possible Cabinet reshuffle. And the public backing of Molefe for finance minister by various parties will imply the unease continues," said RMB currency strategist John Cairns. On Tuesday afternoon the rand was trading at R13.17/$ from an overnight close of R13.04. 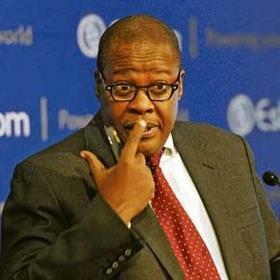 Molefe resigned as Eskom chief in November last year after he had been associated with the wealthy Gupta family in former public protector Thuli Madonsela's State of Capture report. Speculation around Molefe's move to finance came after committee chairperson Yunis Carrim announced on February 15 that the ANC's Makhosi Khoza would no longer serve in the finance committee and will henceforth chair the portfolio committee on public service and administration. Two days later it was announced that Molefe would become an MP after he was nominated to fill a vacancy on the North West list. On Tuesday Carrim referred speculation around Molefe’s appointment to the committee to the ANC’s office of the chief whip. “First of all, it’s not my committee. I don’t get to decide,” he told Fin24. Khoza, who has been promoted to chair the public service committee, was considered a rising ANC star in Parliament. She served in the finance committee from 2014 and also chaired the ad hoc committee responsible for appointing a new public protector. According to the People’s Assembly website, Khoza has over 20 years of collective experience at both public and private sector institutions. She holds a PhD in administration, a master’s degree in social science (Policy and Development studies) and is a fellow at the Aspen Global Leadership Institute. Khoza is currently studying towards a master’s degree in finance at the University of London. In addition to Khoza's vacant post, the ANC made another change by discharging Abram Molefe Mudau from the portfolio committee on cooperative governance and traditional affairs, according to the Announcements, Tablings and Committee Reports.